After paying a huge fee for Kepa Arrizabalaga back in the summer, despite his recent indiscretions, we don’t believe that there is any danger of the club opting to sell the player. In five-or six-weeks’ time, the storm that encapsulated the 24-year-old will have blown over and no doubt something else will be hogging the media headlines, it is, the nature of the game. But, taking a look at the goalkeeping situation at Stamford Bridge, behind Kepa in the pecking order are Willy Caballero and Robert Green, neither of who are spring chickens, with Willy being 37-years-of-age and Green even older. However, it isn’t necessary to be too concerned about an age when it comes to a #2 between the sticks, as long as Kepa doesn’t pick up a bad injury. Caballero stepped into the front-line, against Tottenham Hotspur on Wednesday night, and coped admirably. One would think that the Argentine keeper would be with us next season, with the Telegraph, reporting that he will be offered a new contract but on one condition. Caballero/s Chelsea future relies on the club being able to fill their homegrown quota, for the squad for the 2019 / 2020 season. 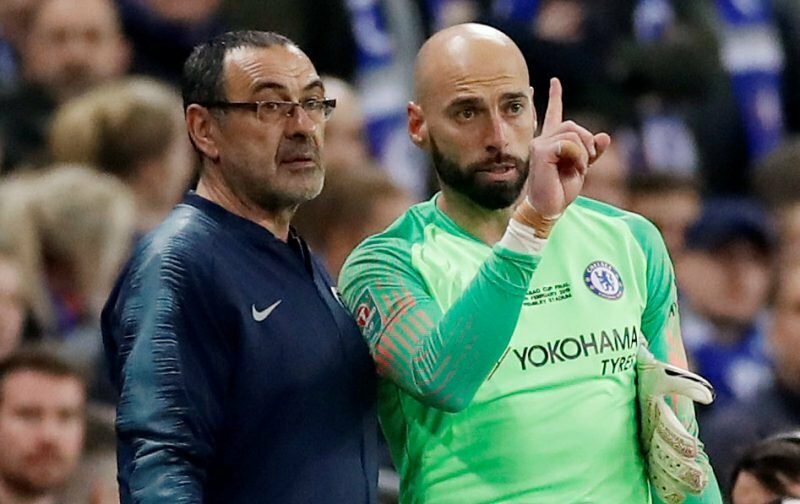 It’s something that, in a way, leaves Caballero out on a limb and it’ll be interesting to see if things work in his favour or whether the quota rules mean Chelsea will be forced to move him on. As is the norm, here at Vital Chelsea, we’ll do our utmost to keep abreast of the situation and report back as deemed necessary.